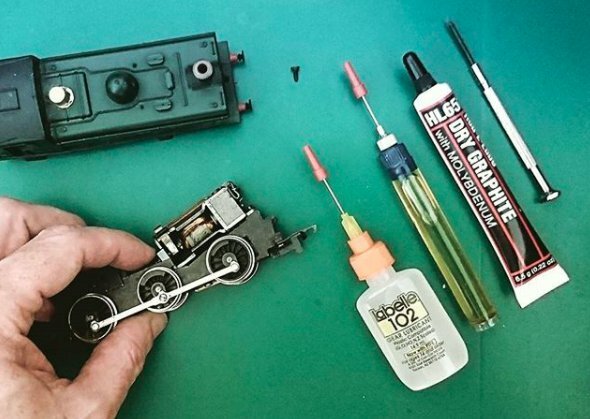 From time-to-time every model locomotive needs oiling to keep it running smoothly. But what’s the best fluid to use? 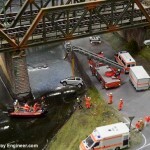 Model trains are like cars. They feature moving mechanical components (gears etc) that need lubricating to operate smoothly. Gears, for example, need to turn but you don’t want them sticking or locking together. This is what lubricants prevent, reducing friction which reduces their lifespan. 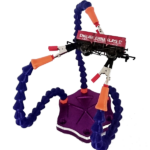 > Updated: Links to UK supplier for Labelle products with free postage now added. Click here. Oil and grease are both lubricants and closely related. Oil is a liquid while grease is usually an oil that has been thickened with additives to it so it doesn’t run off surfaces so quickly but when compressed — between the cogs of gears for example — it protects them and reduces the friction just like oil. 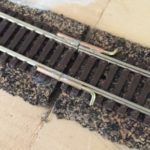 Given their thicker composition greases stay in place longer and are typically used on internal surfaces that are hard to reach and which can’t be oiled regularly or on external gears where the oi will run off and may, in the case of model railways, make the rails slippery. Alongside these two types of lubricant are non-liquid forms. These have the benefits of fluid lubricants but are used in environments where the introduction of particles, carried as liquid oils flow around, would interfere with the operation. They are commonly used in railway points for example. But you can’t just use any oil or grease. 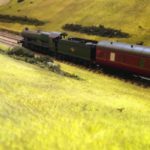 The gears and cogs of model trains are obviously much smaller than those in cars and other mechanical devices found in homes so normal oils won’t work and can even be harmful to the delicate plastics and paintwork of rolling stock. They may eat through and dissolve many materials used in buildings and scenery around your layouts, so if you spill some it can be bad news. For these reasons never use cooking oil, WD40 or 3-in-1, even though some YouTuber’s suggest using it. 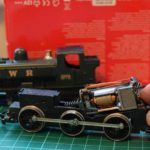 So what is the best oil and grease to use for model trains? Instead, use dedicated oils and greases. My personal recommendation for the best lubrication to use on gears Labelle products labelled as plastic safe. In particular, Labelle #107 or #108 and #106 for grease. If you can’t get these, check the lubricant is plastic compatible and a light oil. Old style sewing machine oil and fishing reel oils are recommended by many old-school modellers. Alternatively, Gaugemaster’s oil — available here with rapid delivery, aus Deutschland klicken Sie hier — is recommended. 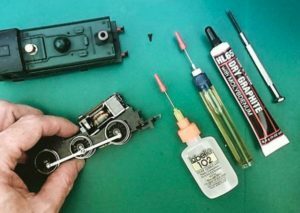 Aside from using the wrong type of oil for servicing locomotives, another common mistake is to swamp the gears, motors, axles and rods. Do this and it’ll run into places you don’t want it, including the motor itself and onto the rails so the train wheels just slip and slide. The Labelle oils recommended above come with needlepoint dispenser, just place this on the points to be oiled and squeeze a tiny drop out. Alternatively, dip a needle or straightened paper clip into the oil or grease and apply it. I place it on the cogs, worm gears and coupling rods where they attach to the wheels. 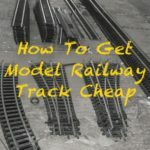 It can also useful to place a tiny amount in the holes where axles fit into the wheels on rolling stock. Then run the motor on a rolling road for a few minutes and apply again. If you don’t have a rolling road, run it on some test track for a few minutes. Failing that, please it on some tissue paper to catch any oil that needs to run off and which will otherwise fall onto the rails and then onto your track to run. In closing, don’t use 3-in-1, WD40 or cooking oils. Use Gaugemaster’s lubrication fluid or Labelle oil and greases and your engines and rolling stock will run smoother, longer and more reliably. Get my recommended Labelle oil and greases. Get my recommended Gaugemaster’s lubricator (aus Deutschland klicken Sie hier). Also rated 5 out 5 by Amazon customers. Hi Andy. I was told to use 3 in 1 setting my layout up, but to use an opened out paper clip. Theory being it’s possible to just add a couple of drops in the required places or so I was told. Hi Andy, presumably the fact it’s used in small moving parts elsewhere would make it a candidate. Methinks I need to make a change. Pete. Will do, I might ask around and see how others who are, are getting on. Pete. Hi folks, it depends what I’m lubricating…and the model manufacture. Mainline stuff I’ve found beeswax furniture polish works on the gears and axles . It’s wise not to use 3- in-1 and some oils because the plastic they used eventually can crumble as it got brittle with age. 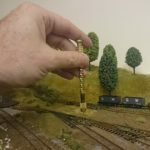 I have used beeswax on other models as well as Hornby but not for valve gear. There I use Gaugemaster only and sparingly.